Mrs. Ann “Annie” Elizabeth Hodges (1920-1972), age 34 of Oak Grove near Sylacauga, in Talladega County, Alabama (lat. 33º 11' 18" 1 N long. 86º 17' 40" 2 W) was struck by an 8.5 lb. 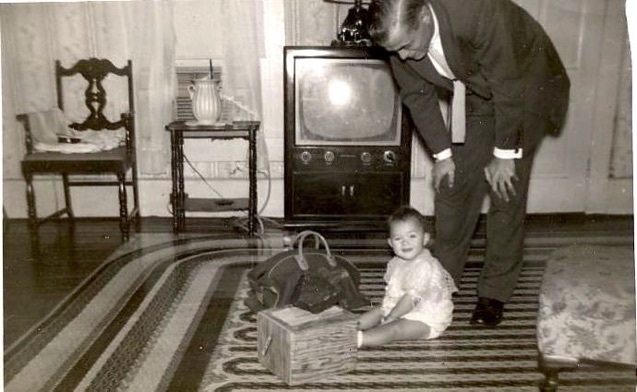 meteorite (a fragment possibly from the near earth asteroid  Toro) in her 140 year old rented home on Tuesday, November 30, 1954 at (18:46 UT) 12:46 P.M. local time while resting on her couch. The meteorite came through the roof of the Odens Mill Road home, hit a radio, bounced and then struck Mrs. Hodges on the hip and the hand. This was the first known recorded injury of a person being struck by a meteorite. 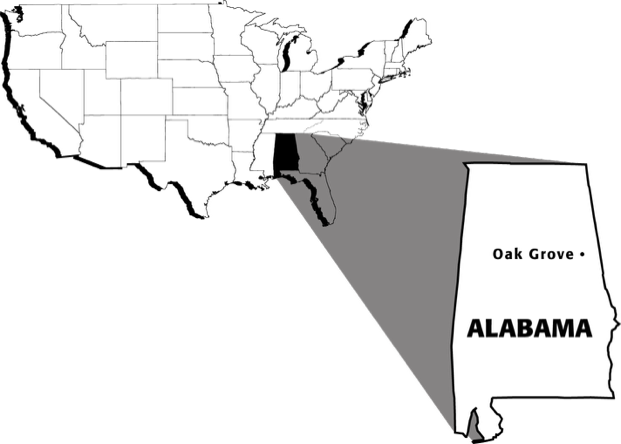 The sonic boom generated by the fall almost knocked a boy off of his bicycle 64 miles away in Montgomery. 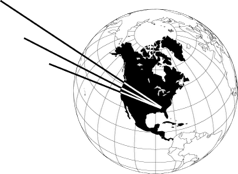 Local residents reported TV interference as the object passed over their houses. Ironically the Hodges’ home was located near the Comet Drive In Theatre! First the Air Force and then Mrs. Hodges' landlady took possession of the errant rock from space and claimed ownership. 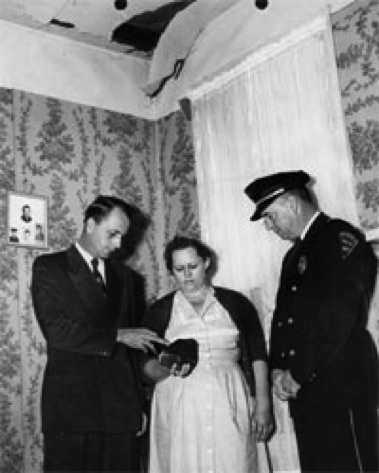 The Hodges’ sued the landlady for the return of the meteorite believing it to be their property. The landlady answered in a lawsuit of her own saying that her lease did not include mineral rights and took possession of the meteorite. 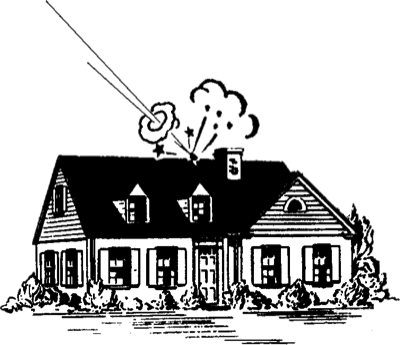 While the courts sided with the landlady and awarded her possession, the meteorite was eventually sold to Mrs. Hodges for the modest sum of $500 by the landlady. However the public sided with Mrs. Hodges, who told the press, "I think God intended it for me. After all, it hit me!" 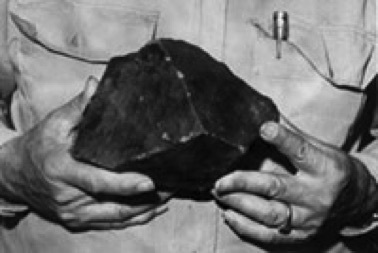 The meteorite (Hodges Meteorite) was in turn donated by her in 1956 and can be seen today at the University of Alabama State Museum of Natural History, Tuscaloosa. A smaller piece (the McKinney fragment) is on display at the Smithsonian Museum in Washington, D.C. The only known fatality from a meteorite was a dog killed in Nakhla, Egypt in 1922. 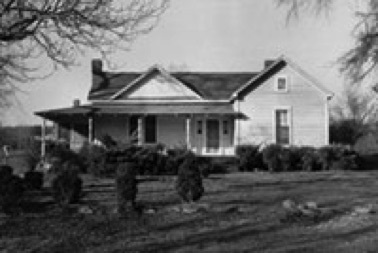 The house where the meteorite hit in 1954. The home was located across from the Comet Drive In Theatre! The 8.5 lb. meteorite up close. 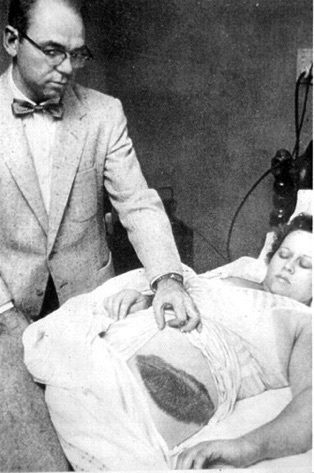 Dr. Moody Jacobs examining Mrs. Hodges wound inflicted by the meteorite. Mrs. Hodges examining the meteorite with local officials. Mrs. Hodges’ attorney’s daughter with the meteorite at their family home. The meteorite remained there while the question of ownership was being decided in court. Eventually the meteorite was sold and returned to the Hodges’ who used it as a door stop in their home. An attempt has been made to identify the possible copyright holders of the five images above with no results.